Who says you have to follow the rules? 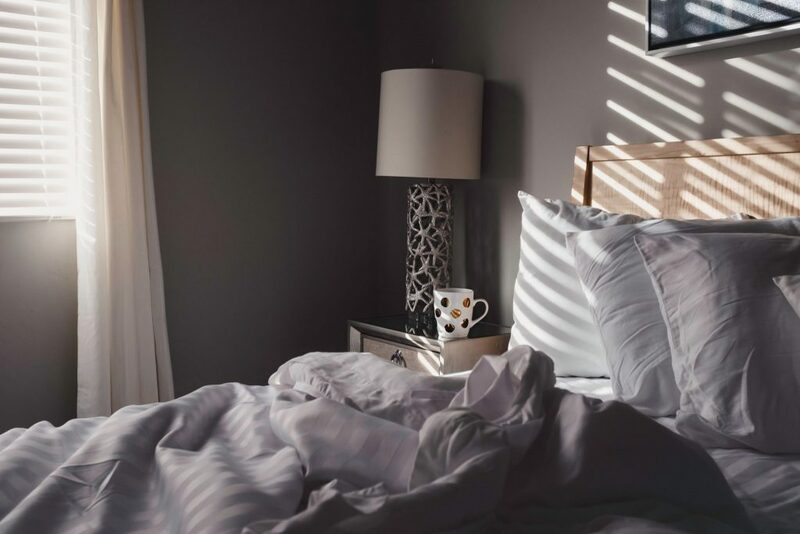 Breaking the rules of bedroom design can help you create a more comfortable environment — and may even help you sleep better at night. Throw out these rules and do your own thing in the bedroom. Rule: Nightstands must match. Symmetry is an important element of design, but it’s not a hard and fast rule. Mixing two different nightstand designs can create a more romantic or vintage inspired look. And, it can help you stick to your own design style, allowing you to choose a different nightstand that what may appeal to your partner. Rule: Box springs are non negotiable. Mattresses and box springs go together like peanut butter and jelly, but don’t think you have to have a box spring to sleep well. In fact, many bed frames come with an adequate foundation, so you don’t need a box spring at all if that’s the case. Skipping the box spring can allow you to adopt a more low profile and modern look. Of course, you should make sure your bed frame offers a supportive foundation before you ditch the idea of a box spring, because saggy mattresses aren’t stylish or comfortable. Rule: Low ceilings mean a low headboard. If your ceiling is short, design logic suggests that everything should be just a bit lower to the ground to make up for it. But that’s not always the case. While large, grandiose furniture can quickly overwhelm a small room with a low ceiling, your headboard doesn’t have to be short to make your room feel comfortable. In fact, a higher, but low profile headboard can draw lines upwards, making a shorter ceiling look larger. Look for a slim, yet tall, headboard to nail this design challenge. Rule: Bedroom colors must be light and airy. 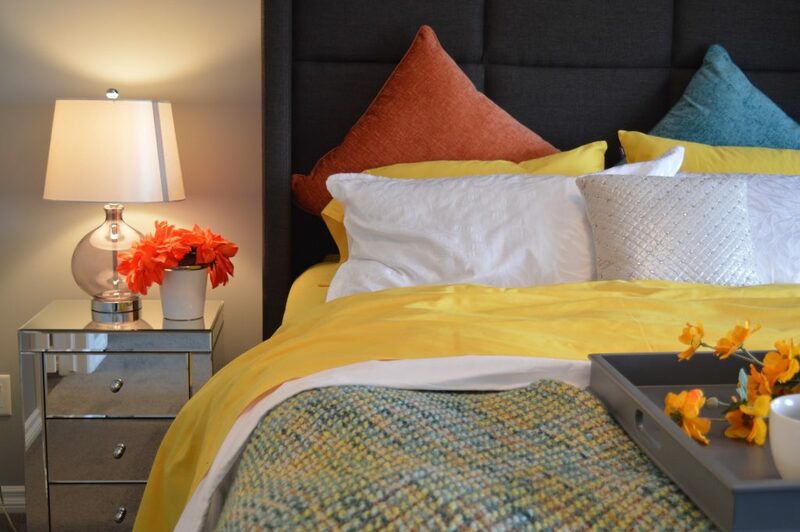 Design rules tell us that bedroom colors should be light, bright, and unobtrusive. While it’s true that your bedroom colors shouldn’t be distracting, the fact is that you can go with a darker color and still feel comfortable in your bedroom. In fact, a dark color on the walls can help your bedroom feel more cozy. Blue is one of the best colors for sleep quality, so consider a deep royal blue to create a cozy, calming environment that can help you drift off to sleep at night. Rule: Throw pillows make a bed look better. Throw pillows can add a look of comfort and coziness to your bed, but don’t go overboard. There’s always the potential to have too much of a good thing, and that happens all too often with throw pillows. Although looks are important, throw pillows can but a serious damper on sleep. It can be a pain to remove lots of throw pillows from your bed before you can go to sleep at night. And if you try to sleep with your throw pillows, you may feel cramped, or have too much resting under your head to sleep comfortably. Keep it simple, using throw pillows sparingly or avoiding them altogether.